To avert loss of life during the upcoming rainy season, authorities concerned have decided to relocate people living at the foothills, amid grave landslide risks. They also have decided to cut all illegal utility connections in the area. The decision has been taken at the 19th meeting of the Hill Management Committee, held at Chattogram Circuit House on Tuesday (Apr 16). As per the decision taken at the meeting, the illegal utility connection will be severed within the next 15 days. Authorities marked 17 hills in the area as most vulnerable and the people living on them will be shifted to safer locations within a month. Chattogram Additional Deputy Commissioner (Revenue) and Member Secretary of Hill Management Committee, Delwar Hossain, said a total of 835 families are now living on the most vulnerable hills. "Of those, seven hills are owned by the Chattogram City Corporation, Bangladesh Railway, Chattogram Wasa, Housing and Public Works Department and the National Housing Authority. The remaining 10 hills are owned by different individuals. 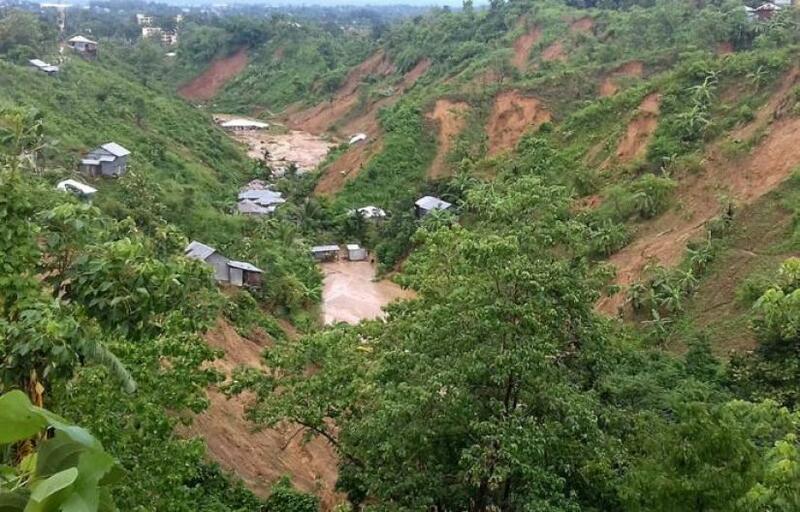 While presiding over the meeting, Chattogram Divisional Commissioner Md Abdul Mannan, said: “We are gravely concerned about possible landslide-related casualties during the upcoming monsoon in Chattogram city. "As a precautionary measure, we have asked the government agencies concerned and individuals to free the vulnerable hills from encroachers by May 15." "The district administration will also assist during drives to free the hills from illegal encroachment and sever the utility connections like gas, water, and electricity. "The people are living illegally and vulnerably as well. It will act as a disincentive to them if we sever the utility connections. We cannot let another landslide tragedy happen and we should not invite deaths. Therefore, we must swing into action from now on,” he added. Among others, representatives from different government agencies and the Chattogram Deputy Commissioner (DC) Elius Hossain were present at the meeting. Indiscriminate hill cutting has triggered calamities like landslides that killed at least 230 people in Chattogram in the last decade. According to the district administration, there are 28 hills in the area that are vulnerable to landslides. The hills are owned by government, autonomous, private organizations and individuals including: Bangladesh Railway, Public Works Department, Chattogram WASA and Chattogram City Corporation.